I think it’s safe to say that my skin has never really been as clear and healthy as it is now. Spots have been kept at bay and my complexion is luminous and glowing. I have a post talking about all my skincare faves coming up soon but I think that the good condition of my skin is mainly down to two products. First, we have the GlamGlow Youthmud Mask (here). This baby just rocks and I’m here to tell you that it is as brilliant as everyone else says it is. The mask gently exfoliates the skin, removing all dead skin cells but it also manages to absorb impurities and leave the skin feeling and looking clean. Youthmud minimizes the appearance of my pores, which is something that I really struggle with. The main reason I fell in love with the mask though is because of the way it brightens up and tightens up the skin. It makes the biggest difference and my complexion looks 10x more radiant, toned and lifted. The La Roche-Posay Serozinc* (here) is the latest addition to my daily skincare routine and I’m simply in love with it. It is basically a zinc sulphate solution, which helps cleanse and sooth the skin. I use it as toner, pre-serum and spray it directly on my face. I don’t know what is the magic behind it but it just mattes things down and keeps my complexion spot-free. It’s just brilliant and now you can get your mitts on it from here without a trip to Paris needed. Score. When I think autumn, red lip always pops in my mind and this past month has all been about the Maybelline Color Drama Velver Pencil in Light It Up (here / review). It’s basically the perfect, easy to slap on red and I’m just smitten. Its bright classic red shade is to die for and I find it suits everyone as it’s not too orange or pink. It’s right in the middle and I love how it compliments my skin tone. It gives me some serious Marilyn Monroe vibes and the formula is spot on as well. Creamy, hydrating, super long-lasting and extremely opaque. Definitely one to check out ladies! Super affordable too. Nails wise, it’s been tight between Essie Fiji and YSL La Laque Couture in #39 Beige Gallery (here / review) but I think this greige beauty has been sported a bit more this past month. This concrete beige with grey undertones is a total beauty and doesn’t make my hands look like death, which is usually my issue with nudes. Beige Gallery is one of the most classy and sophisticated varnishes in my collection and the creamy, opaque formula is the dream. It applies like charm with its perfectly sized, wide brush and it hangs around for days without chipping. Definitely my fave high-end polish atm! It might be due to the whole ‘strobing’ craze that’s been going around the beauty community recently but highlights and I are having some serious love-affair right now. The one that’s been gracing my cheekbones the most recently is Benefit High Beam (here). 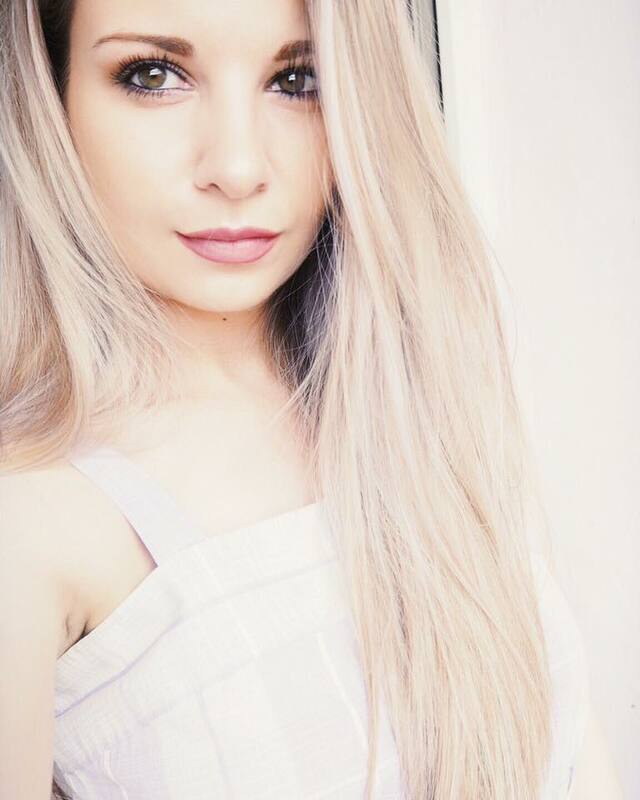 I am all about its pearly pink shade that looks stunning on my cool toned complexion. It’s not too shimmer-laden and just highlights the skin in a really subtle and beautiful way. Just make sure you don’t put too much on as it might look a bit cakey or seep into pores. High Beam highlight applies easily, just work one cheekbone at a time as I find it sets rather quick. I’m always late to jump on the bandwagon and I just recently discovered the beauty of the flash / metallic tattoos. These boho chic inspired temporary gems have become a night out essential for me and I love having fun with different styles and colors. They look seriously dreamy with tan on and I never fail to feel like a proper bohemian princess wearing them. 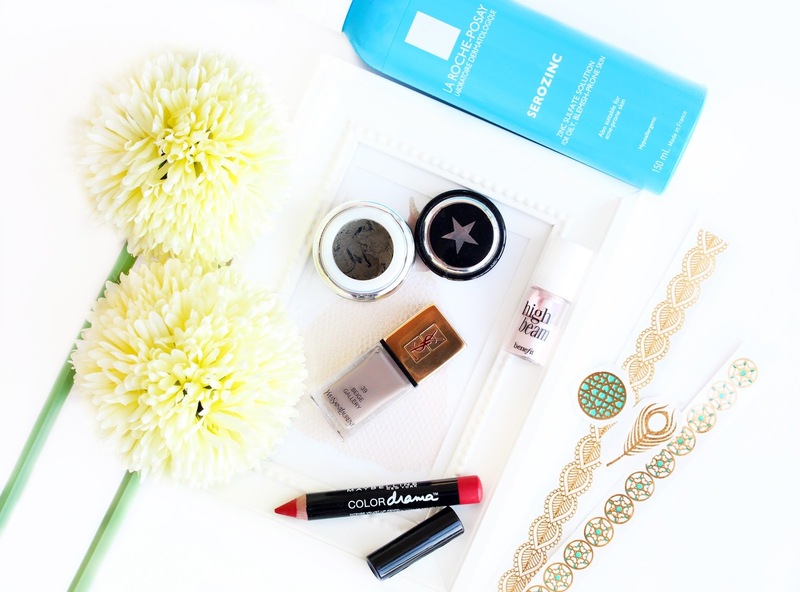 I love how versatile they look and you can apply them wherever you fancy. I’ve seen people go seriously all out but I just like to add a couple just to compliment my jewelry and outfit for the evening. They apply and remove like a breeze and if you’re looking for something fun to add to your look pre-concert /party / festival - look this way. There are tons of shops where you can get them online, so go have a browse. I have the Maybelline color drama lip pen, I love it! Ya el iluminador lo tengo y me encanta! 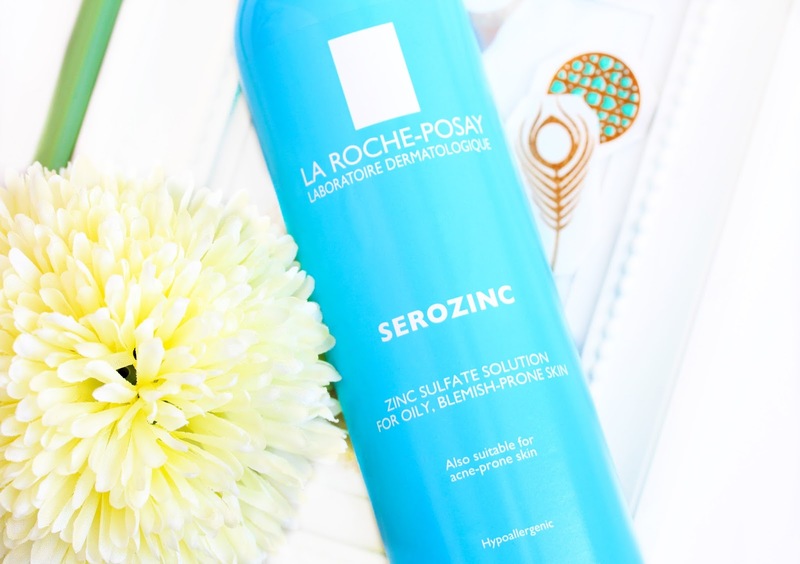 I've heard great things about the Serozinc from La Roche Posay I really want to try it! I'm so happy that fall is finally here too! High Beam is such a great product, I love how dewy it makes my skin look. I'm crediting Serozinc with the reason my skin is being so well behaved too at the moment, I don't know how it works but I think I'm going to have to keep on using it for a good while yet to come! 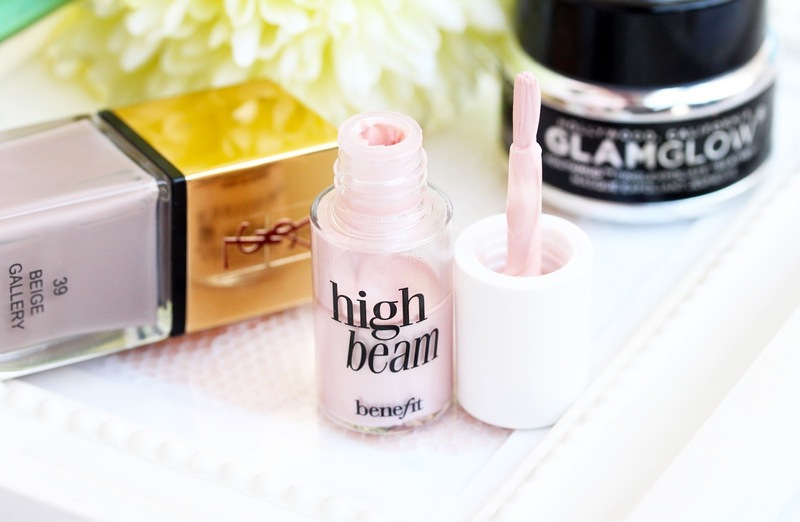 I would really like to try the benefit high beam, I've seen it in the store and I always wanted to pick it up. I swatched it before and I think it would look really dewy but natural on the skin. I've never tried High Beam, but I love the pink undertones in it! I've always wanted to pick it up, but I've just stuck to Watt's Up for years! Lovely favorites! I love Highbeam for a nice glow! Too bad I can't get my hands on the maybelline color drama, sounds amazing! I love the Serozinc spray! I must dig out my Maybelline lip pencils again! Great picks! I have yet to try high beam though. that ysl polish looks so gorgeous — i love grays and beiges!! also need to pick up some maybelline lip pencils, i've been meaning to but haven't gotten around to it yet! good It allows you to produce Snapchat profile and helpful site and how to set up it in your Personal computer nice. good You require a 5GB C Drive storage space available. shareit for pc You can make use of SHAREit for COMPUTER by obtaining best. good Android apps and video games on PC. This emulator is IMO App Everybody discuss these apps as these apps are nice. awesome article on how one can download and install SHAREit on PC is given, SHAREit app is very popular and has great features. here you get to know about useful website to download and install SHAREit on PC. Hey, I have seen this article it gives a great and appreciative knowledge to me if you want to check latest lyrics of any kind of song Visit Now thank you so much.